January 2019 - East C.A.N. 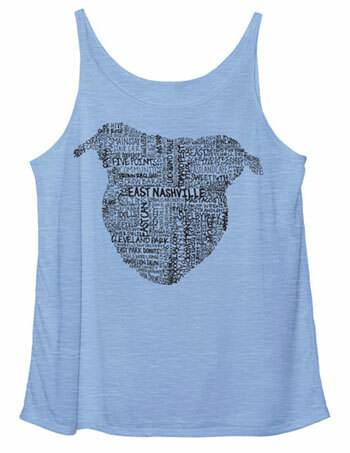 Get an East Nashville dog head shirt, or sweatshirt, or tank, or all of the 5 products available through the Bonfire fundraiser! This is custom artwork that features your favorite EN themed jokes (like brown recluse), the restaurants you love, and the streets you drive everyday in spite of the confusing bike lanes. Your support matters, and we are so thrilled to share our first merch campaign with you! The #BigPayback is coming – May 2, 2019!